Dear Guests! 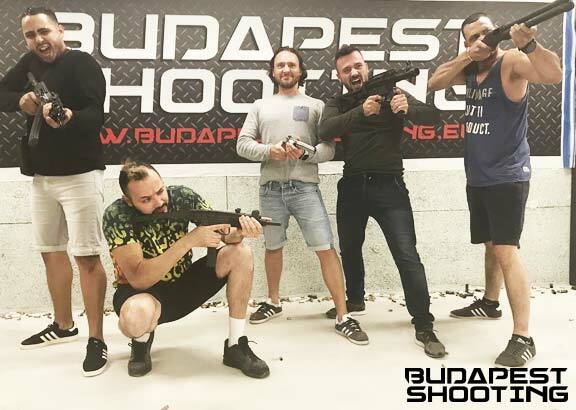 Before the booking please consider that – because of the hungarian regulations – the shooter person must be 18 years old! Of course below 18 years with parental guidance is possible to be an observer, but can not shoot! Do you have fully automatic and/or silenced weapons? 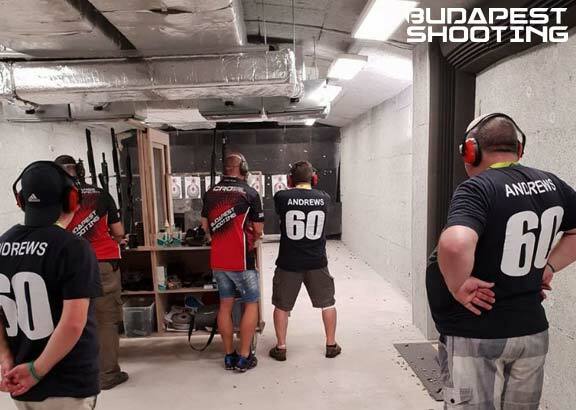 Fully automatic firearms (capable of firing multiple shots with a single pull of the trigger) and silencers are not authorized for civilian usage in Hungary, and therefore cannot be legally used at any Hungarian shooting range. Such weapons advertised either fire blanks, boast a ‘mock-up’ suppressor not capable of reducing sound levels or are plain illegal. Can friend or family watch but not participate? Spectators can watch free of charge and will be provided with safety gear (eye & ear protection). 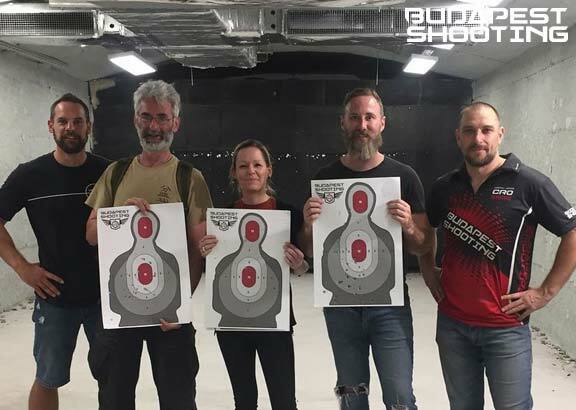 Due to restrictions on the number of people we can safely accommodate and handle in the various shooting bays during live fire exercises, please let us know the number of spectators in advance. Can I or spectators take photos/videos? You and your friends/family are allowed to take pictures/videos during live fire exercises, unless this would result in the violation of basic safety rules or the instructions of the range officers in charge. You can also pose with the empty guns after the event. Unless we have a fully Hungarian group, the language of instruction is English. Video training materials shown prior to shooting are also subtitled in German and French. In case of demand, instructions in other languages are possible, but subject to preliminary discussion and availability. We advise layered, sporty, casual clothing and comfortable, closed, flat-soled shoes. Our range is truly all season and temperature controlled, internal temperatures vary btw. 20-24 degrees (centigrade). Please also consider that firearms can be greasy / oily / dirty as part of their normal functioning (lubrication, soot, gunpowder residues etc.) so please make sure you dress accordingly. Most definitely. 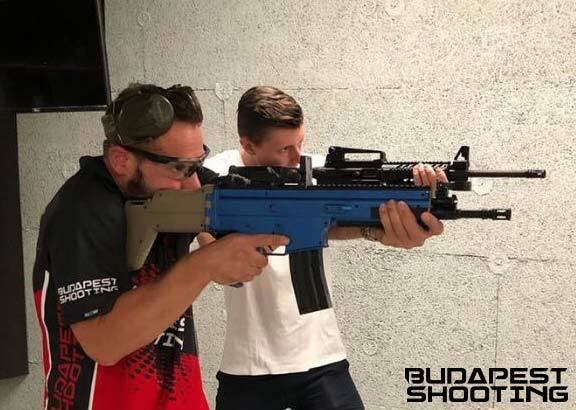 All you need to do is send us an email to info@budapestshooting.eu with the relevant details of your request (including name of recipient and No./type of packages purchased). Vouchers must be fully paid in advance via bank transfer in HUF or EUR, will be sent via email in a common printable format upon receipt of funds, are non-refundable and valid within a one-year period from the date of issue. Pregnant women should not participate in live fire exercises, primarily due to excessive noise impact. While you can wear ear protection this is not possible for the unborn baby and therefore such noisy environments should be avoided. Can I add firearms to my package? Can I change firearms in my package? To keep it fair, transparent and manageable for all, the contents and prices of our packages are fixed. You can, however, add extra guns to any of our packages. Just let us know in advance, via the relevant selector on the booking form. You can select any gun from our armory and add it to your package. You can also add multiple firearms in any given weapon category (e.g. revolvers or shotguns) via our Add-on Packages. The number of shots per gun is fixed and dependent on the caliber and/or magazine capacity of the selected weapon. Can people in the same group shoot different packages? Maximum two different standard packages can be shot in any given group at the same time. Can I put together a custom package or better yet, a custom event? 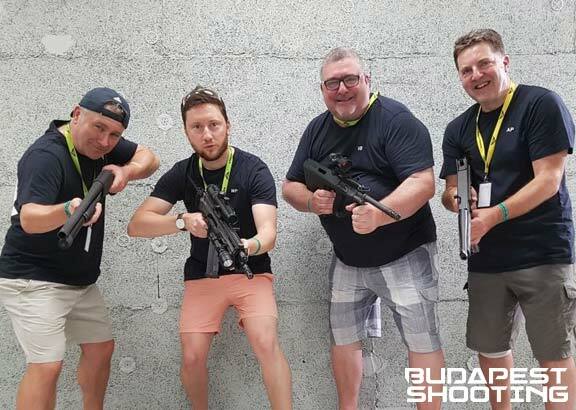 We happily organize and manage custom-made events for groups of practically all sizes, ages and composition, both for private individuals and for companies/corporations in the state and private sectors, with flexible timing and a wide array of available weapons, live fire exercise choices and additional services. Birthdays, celebrations and anniversaries, corporate events and meetings, law enforcement & military trainings and exercises, individual or group trainings – you name it, and we happily comply. This however requires extra effort and therefore a longer lead time. Best is to send us an email to reservation@reloadshooting.com with relevant details of your inquiry and surely we can work something out to your liking. Can I just visit your range without a prior reservation? Within the standard opening hours you certainly can but there is no guarantee that you will be able to participate in a live fire exercise immediately. This would depend on the availability of range personnel and equipment, as well as your eligibility and documents. Please review our Terms and Conditions for more information. Can two or more shooters share a package? This is not possible. 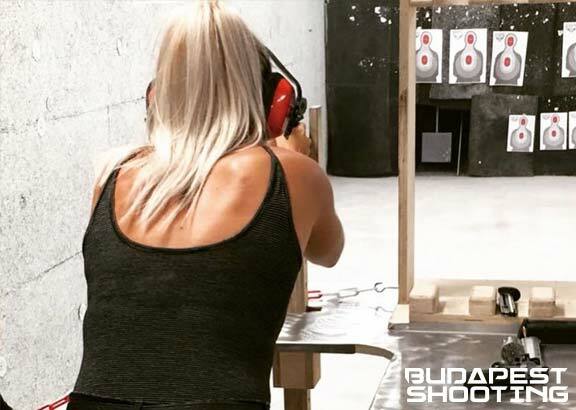 As detailed in our Terms and Conditions, our prices are non-negotiable, valid per person and per package, include 27% Hungarian VAT and cover all costs related to the selected standard shooting packages. Is it possible to pay everything on arrival, without a prior deposit? Not with a reservation. A deposit of 9.000 Ft ( € 30 ) per person is payable at the time of booking, online, via debit or credit card. Please read our Terms and Conditions for more details. 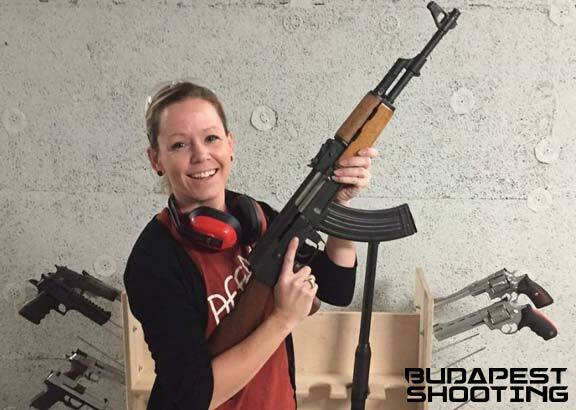 You can also just visit us without a prior reservation and pay everything on the premises with cash or credit/debit cards but then we cannot unfortunately guarantee that you will be able to immediately participate in a live fire exercise. Are you far away from Downtown Budapest? No, we are actually located in downtown Budapest, in the so called Party Zone, literally just steps away from your favourite hotels, bars and restaurants. Can I go by public transport? You surely can and it would certainly be an environmentally friendly and cost effective way of transport at the same time. Please refer to the Google map on our Contact page for more details.